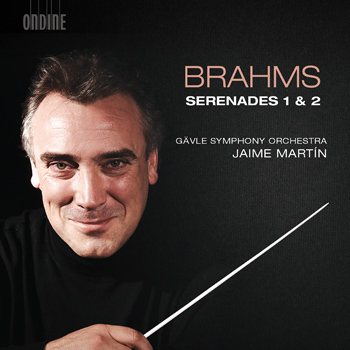 This Ondine recording is the first instalment in a series of Brahms recording with the Gävle Symphony Orchestra and their chief conductor Jaime Martín. Together with the orchestra Martín offers delightful interpretations of these two early examples of Brahms’ orchestral writing. Johannes Brahms’ (1833–1897) two orchestral Serenades were written in the late 1850s and together with the 1st Piano Concerto offer the earliest surviving examples of his orchestral writing. Brahms revised the 1st Serenade several times, and intended “to transform the 1st Serenade into a symphony”. The 6 movement work, originally titled as Nachtmusik, is an impressive poetic creation by the young composer.